What does it mean to be great? Dictionaries have many synonyms for this word depending on its usage. It could mean huge or larger than similar things such as a great mountain or a great ape. It could also mean elaborate as in great detail, or numerous as in great attendance and great length. It is also used to convey predominance as in the great majority, preeminence as in great chief, or prestige in a title added to a name such as Alexander the Great. It can be used as a term of approval as in I had a great time, or as a description of exceptional skill as in he is a great singer, or of markedly superior character as in he is a great man. The Oxford dictionary divides the definition of great into four categories of meaning. It is used to denote family relationships up or down one degree – great grandparent / great grandchild. It can designate something to be considerably above average in extent, amount or intensity. It can refer to something that is considerably above average in ability, quality or eminence. It can be used to convey that something is more important than other things. This morning we are going to look at this concept of being great as it is applied to humans. The idea of greatness is a question men and women often ask of themselves and others, though not necessarily out loud in a discussion, but by their view of each other. In each field of activity there tends to be a competition not only to determine who is better than average and therefore great, but also who is greater than that and who is the greatest. The Summer Olympics will be starting soon and the media focus will largely be the athletes that will strive to prove how “great” he or she is in comparison to all the others. Those who win a medal will be considered to be great in that particular event, with the silver being greater and the gold being the greatest. Yet, as we all know, the greatest athletes do not always win every contest. In baseball, even the greatest players strike out much more than they get hits. 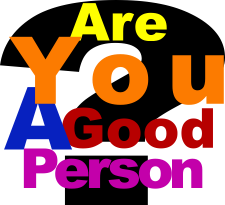 We also understand that even if a person is great in the sense of having exceptional abilities, they are not a great person unless they also have good character qualities. This is true in every area except when great is used to refer to a person’s sinful characteristics. Such a person may be a great sinner, but not a great person. Christians should try to do their best at any endeavor pursued because that is honoring to our Lord, but there is a danger that rises when the natural outcome of that results in being better than average and therefore considered great. Unless you actively pursue humility, being considered great results in pride, one of mankind’s chief problems, and as pride rises and is displayed, true greatness diminishes. This is an important principle Jesus teaches His disciples while they are still in Capernuam. Please turn to Matthew 18:1 and put a marker there, then to Mark 9:33 and put a marker there, and then to Luke 9:46 which is where we will begin our study this morning. Mark 9:34 continues, 34 “But they kept silent, for on the way they had discussed with one another which of them was the greatest.” They had great reason to be embarrassed about arguing about which one of them was the greatest. It was a very immature thing to be arguing about in the first place, but even more so they should have been embarrassed because this takes place only a short while after Jesus had told them the second time “The Son of Man is going to be delivered into the hands of men; 23and they will kill Him, and He will be raised on the third day” (Matthew 17:22-23). They were deeply grieved when He said this, but apparently that grief did not last very long for that same day they ended up in this argument about who among them was the greatest. Luke 9:47 is clear that Jesus knew what they were thinking in their hearts which indicates that the argument had died down in the presence of Jesus, but you cannot hide something from someone who is omniscient. Jesus questions them to bring the matter out where it can be dealt with and the lesson taught. Matthew abbreviates this part in his account and makes it seem like the disciples came up with the idea of asking Jesus “Who then is greatest in the kingdom of heaven?” In reality, Jesus had prompted them to reveal what they were too embarrassed to ask directly. My guess is that they either brought up the question right then after an embarrassing silence, or they asked Jesus the question when He sat down and called all twelve of them to Himself. At that point, whoever He had been talking to initially knew the whole matter was going to come out, so they revealed the subject in the least embarrassing way they could think of at the time – ask Jesus to resolve the question that had been on their minds. Matthew’s focus throughout chapter 18 is the answer to this question as Jesus explains the characteristics of those that will be great in the kingdom of heaven. Why would this question be on the minds of the disciples anyway? Aside from the normal quest of human pride to find a way to boost itself, they are aware that they are moving steadily toward what they believe will be the culmination of Jesus’ ministry and the establishment of His kingdom. They do not understand how Jesus’ prophecy of His coming suffering, death and resurrection fit in, but they expect Jesus to take David’s throne in the not too distance future. Certainly the response of the crowds in wanting to crown Jesus king adds to this expectation (John 6:15). The people were ready, so it would be just a matter of when Jesus was ready to make His move to establish the kingdom of heaven on earth. Another factor that probably fit in with this was Jesus’ actions which made it obvious that Peter, James and John held a higher position than the rest. Though none of them said what had happened on the mountain until later, Jesus did take just the three of them and not the rest. We can surmise some of their thoughts and arguments. Would it be Peter, since He seemed so often in the middle of things? But then again, Peter was also the one that received the most rebukes. What about James and John? They also seemed to have a special relationship with Jesus. What about Judas, their trusted treasurer? Or maybe one of the other men who were older, or perhaps Matthew who had certainly left the most things of this world behind in order to follow Jesus? Who was the greatest? Can you see the nature of man’s pride arise in this situation? But be careful, for what they did is a mirror for us, for we easily do the same thing. Who is the greatest in the kingdom of the church? The most obvious candidates are those of up front or serve in some leadership capacity. Is it me because I am the pastor? Or perhaps Ed Colón because he chairs the Deacons and teaches the adult Family Bible Hour class? Maybe one of the other Deacons or one of the Women’s Servant Council members? How about Jane since she is the treasurer? What about Jonathan who directs our music for worship or perhaps one of the musicians? What about Dominic who heads up our evangelism efforts? These are the obvious possibilities, but praise the Lord, I have never encountered any of the people I have just mentioned pushing to gain preeminence or power, though I have encountered others. We are blessed with people in our various leadership positions who strive to serve in humility and not in pride. However, the push to be the “greatest” is not always in an outward display. It can also be in the quietness of our hearts because we would be embarrassed to say out loud the kinds of things we think. Things like, “I am doing a better job than so and so because I . . .” “I am more spiritual than so and so because I . . .” “I please God more than so and so because I . . .” “I am more important to God’s kingdom than so and so because I . . .” You can fill in the blanks, but no, we are essentially no different from the disciples for pride and conceit are natural to the human condition. Some people openly display their pride by their words and obvious actions. With others it can be very subtle such as a sideward glance, a look of disdain, a disparaging remark disguised as an innocent question, a statement about what they would do if they were in charge. Others may even do a good job at keeping their hidden thoughts hidden, but the proud thoughts are still there. Battling pride takes hard work, which why the Scriptures commands “humble yourselves under the mighty hand of God” (James 4:10, 1 Peter 5:6). Being humble does not mean you have to lack confidence or conviction, but it does mean that your understanding and desires are always placed in submission to God. For example, after teaching the Scriptures for more than three decades, I am confident in my theological convictions, but I am always open to gain a better understanding of God’s revelation. That is why I so often encourage you to talk with me if you think I have erred in my explanation of the Scriptures. Our goal here at Grace Bible Church is to gain an accurate understanding of the Bible so that we know God and walk in His ways and wisdom which leads to righteousness and life instead of man’s ways and wisdom which leads to destruction. Humble people digging into God’s word together will become more mature which is the better definition of greatness. Pride will block this. People who are proud might think they are great, and they may even posses some superior skills and abilities, but they are blocked from the corrections needed to improve and become greater. They limit themselves to their own understanding and abilities by rejecting what they do not understand or don’t think they can achieve. But worse than this, they are blocked from achieving true greatness in doing God’s will. They become entrapped in their own little, petty, transient world instead of doing what counts for eternity. God resists the proud, but He gives grace to the humble (James 4:6). A life of faith seeks to know God and His will, and learns to trust Him by obedience to His commands leaving the outcome in His hands. Be very careful of picking and choosing from the Scriptures what you will believe and obey and what you will not. You do not have to agree with any particular explanation I give of a Biblical text, but it is very dangerous to place yourself as being superior to God Himself and judging His revelation. If you do disagree with my exposition, then you have an obligation to try to correct me while being open to correction yourself. Again, our mutual goal must be to accurately understand God’s word so that we can know and follow Him. It is His greatness we want to magnify and not our own. It is human nature to be proud, a problem made much worse as the psychological self-esteem movement took off in the 1980’s. In the foolishness of our depraved minds, we think that we are more important if we can find some way in which we are better or of superior quality or skill than someone else and therefore great. The point is proved by how many times we compare ourselves to those that are inferior in a particular area in the effort build up our ego rather than comparing ourselves to those who are of superior character and skill than us. We do a lot more of “I am better than so and so,” than “I am not as good as so and so.” And yet this is what was going on between the disciples. Yes, they should have been embarrassed, and yet, Jesus is gracious in correcting them. Jesus states the general principle of greatness in Mark 9:35, “Sitting down, he called the twelve and said to them, ‘If any one wants to be first, he shall be last of all and servant of all.” Jesus will expand on this same principle in Matthew 20:25-28 and I will expand on it in much more detail when we get to that passage, but here I will focus on the illustration of it that Jesus gives of it. The principle itself is simple enough, but it is contrary to the way almost every human society establishes itself. The rulers act in a superior and domineering manner towards those under them. Those in authority demand obedience by those under them with threats of negative consequences if they do not. Those who are greater are served by the lesser. Greatness in the kingdom of heaven is the reverse with the greater serving the lessor and everyone being clothed with humility (1 Peter 5:5). Jesus uses an object lesson to make His point. Each gospel account adds a detail about what Jesus does next. Matthew 18:2 gives the general action, “And He called a child to Himself and set him before them.” Luke adds that the child was standing by His side, and Mark adds that Jesus took the child in His arms. The Greek word here (paidivon / paidion) indicates a child below the age of puberty and even as young as a toddler. If they indeed were in Peter’s house, it may have been one of Peter’s relatives who would been very familiar with Jesus. The child comes without hesitation. Jesus loves children, and they love Him. And Jesus uses that child as a beautiful object lesson about what it means to be great in God’s kingdom. Keep in mind that this child will be standing there with Jesus throughout the rest of Matthew 18 as an illustration of what Jesus is teaching about the kingdom of heaven. In Matthew 18:1-4 Jesus’ point is that those who are great in the kingdom will have the nature of a child. As the chapter continues Jesus shows that there is no room for pride in the kingdom because everyone in it is treated as a child (vs 5-9), protected as a child (vs 10-14), disciplined as a child (vs 15-20), and forgiven as a child (vs 21-35). The child analogy Jesus draws here is perfect because if anything, the disciples were acting as children and they needed to be reminded that is what they were in comparison to what they should be and to their Heavenly Father. I laugh when I remember taking my sons on walks around the church property when they were very small. There was a place with a fairly good sized rock they liked to climb on. One shouts to the other, “I am king of the rock,” and then the others try to climb up too – pushing the first one off if needed, and then saying, “I am king of the rock.” That is the sort of thing the disciples were doing. “Who is the greatest in the kingdom?” The truth is, like when I reach the rock and stand on it and the kids said, “Daddy’s king of the rock,” that the greatest in the kingdom is the one that is over us. The greatest in the kingdom is Jesus, and if you want to display greatness in His kingdom, then there is only one way possible. You must reflect His greatness. You must be like Him. In Matthew 18:3 Jesus said to the disciples, “Truly I say to you, unless you are converted and become like children, you shall not enter the kingdom of God.” Jesus does not castigate the disciples for their pride which resulted in their arguments with one another and eventually their question to Jesus. Neither does He get upset with them for their utter selfishness displayed in having such an argument so soon after He had told them that He was going to Jerusalem where He would suffer and die, then be raised from the dead. Their initially grieved hearts turned back to themselves as they contemplated each others relative worth in the coming kingdom. With a child standing with him, Jesus’ statement goes straight to the center of their pride and brings into question whether all of them were even going to enter the kingdom. How can they be contesting with one another about whom the greatest is when there is some question about whether they will even be part of it? Man in his foolishness often argues in this manner. Arguing about which baseball team is the greatest and will win the World Series this year is foolish when even the basic qualifications for entering that contest have not yet been met. Some people balk at this text. They do some expositional gymnastics to make sure that there is no question in their mind that Jesus is not questioning the disciples’ salvation. Yet that is exactly what Jesus is calling into question. An incorrect view of the security of salvation has changed its basis from faith in the actions of God to faith in the actions of man. Strangely, some who claim to be Calvinistic turn out to be Arminian because in the end they hold salvation to be the work of man. Salvation comes through faith in what God has done for us through Jesus Christ. Faith is a noun of continuing present, that is, it is a trust placed in someone that is on going. Faith is not something that happened once in the past and therefore continues evermore. The gospel message has been changed in much of America from trusting Christ to trusting an action of man – walk an aisle, raise your hand, get baptized, pray a prayer, make a claim, etc. Many people have faith in what they have done instead of in Christ and what He has done. Jesus’ statement is a direct challenge to them about whether they are going to enter into the kingdom or not. In other words, don’t be so proud in considering which of you will be the greatest in the kingdom. You need to first make sure that you are entering the kingdom! Someone might argue, the disciples had already professed faith in Jesus, with Peter, speaking on behalf of the other disciples, proclaiming that Jesus was indeed the Messiah, the Christ, the living Son of God (Matthew 16:16). They were demonstrating their trust in Jesus by following Him wherever He went. Each of them had already gone out on a mission for Jesus where they healed the sick and cast out demons (Luke 10:17). How could their salvation possibly be questioned? Simple, salvation is not about doing, it is about being. It is not about what you do, but it is about being reconciled with God. Jesus’ statement to them was not only designed to challenge their pride. It was also designed to put their minds back on the more important things. The result would be a time of reflection and repentance for those disciples that were in the kingdom, and it was a call to salvation to those that were not in the kingdom. Who was not in the kingdom? Remember that Judas is also present. What does Jesus say it will take to enter the kingdom of heaven? Unless you are converted and become like children, you will not enter the kingdom of heaven. Conversion is the other half of repentance. The focus of repentance is the change that takes place in the mind. There is a recognition that you cannot save yourself and that you are doomed to eternal hell unless something changes, but you also recognize that you are helpless. Repentance involves being poor in spirit and sorrow for sin which is the change of mind that comes when you recognize that what you do and think is sinful before God and harmful to yourself and everyone else. Repentance involves the change in mind that recognizes you are going the wrong direction and must go in another direction. Repentance puts emphasis on the change in mind. Conversion means to “turn around” and puts emphasis on the change in the will. You volitionally change your direction to match your change in mind. It is not enough to repent. There must be conversion as well. In Acts 3:19, shortly after Pentecost, Peter told the people to “repent and return (be converted), that your sins may be wiped away.” He added in verse 26, “God raised up His servant (Jesus), and sent Him to bless you by turning (converting) every one of you from your wicked ways.” Conversion is the outworking of repentance. It is the outward evidence of what has occurred in the heart and that salvation has come to the individual. Salvation is a person being converted from sin to righteousness. Jesus is not saying here that the disciples could be “converted” by their own power. That is an impossible task for man. The verb form here is passive. The action must take place upon them by a force outside them. People are converted only by the acting of the Holy Spirit coming and convicting them of their sinfulness and need for the Savior. The spirit then prompts the human heart to turn from sin to the Savior. No one will enter the Kingdom of God without first being converted. Jesus uses a child to explain the nature of conversion. A child is not sinless. Every child inherits a sin nature as a descendent from Adam and they display it very, very early in life. A child is not sinless, but most children do possess certain characteristics of humility that are needed for saving faith to develop. A child is simple, dependent, helpless, genuine, unpretentious and modest. A young child trusts his parents to provide for him. He believes what they tell him. He submits to their authority and obeys them, and if he does something wrong, he wants to be reconciled to them. Those are all things that are also marks of saving faith. Salvation is impossible without a recognition of your sin and a desire for reconciliation with God. Peace with God cannot be attained without a submission to His authority. A relationship with God cannot be established without believing what He says and trusting Him. That is why Jesus uses a child as the model of what is needed for a person to enter the kingdom. A person who remains proud, arrogant, boastful, bombastic and insincere will not be converted because their vanity will always keep them from admitting their sin and seeking forgiveness as God has directed. Their pride will keep them from believing what God says and trusting Him, and their arrogance will keep them from submitting themselves to God’s authority. Unless they are converted from those things and become as a child, they shall not enter into the kingdom of heaven. They will not spend eternity with Christ. They will forever be separated from Him in everlasting torment. Jesus also uses a child as model for what it takes to be great stating in Matthew 18:4, “Whoever then humbles himself as this child, he is the greatest in the kingdom of heaven.” Children are naturally proud among their peers and those younger, but young children are naturally humble with their parents. They may be defiant and stubborn at times trying to exert their own will, but they know they are dependent upon their parents and neither know as much nor can do as much as them. A child will humble himself before his parents. If you want to be great in God’s kingdom, then you must follow that example. You must humble yourself before God to do things His way. The disciples were arguing about who was the greatest in the kingdom. Their first concern should have been about what it means to even enter and be a part of the kingdom. That may be true of some of you here today. Some of you here today have yet to become as a child and be converted. It does not matter what you may have professed a long time ago. God is interested in whether you are following Jesus or not, and if you are not, then today is the day to begin that journey of walking with Him. You cannot do that by yourself, but God is willing and able to change you. Your starting place is to repent and seek after Him. You must recognize you cannot make yourself righteous and you need God’s mercy and grace. Hebrews 11:6 tells us that God is a rewarder of those who believe that He is and seek diligently after Him. Are you seeking after Him as a trusting child? God resists the proud but gives grace to the humble. Search for Him as a child, and you will find Him and be converted by the Holy Spirit, and He will give rest to your soul. Are you great? If you are, then you don’t have to brag, or draw attention to yourself or even think of yourself as better than anyone else in the world. The truly great don’t even think about it. They just continue on as a child, humbly believing and trusting the Lord and follow after Him. May the Lord grant that everyone here becomes characterized by such greatness. Sermon Notes: Who’s The Greatest? Jesus’ questions __________them to reveal the subject of their argument by asking Him who’s the greatest? Many people have ___________in what they have done instead of in Christ and what He has done. Parents, you are responsible to apply God’s Word to your children’s lives. Here is some help. Young Children – draw a picture about something you hear during the sermon. Explain your picture(s) to your parents at lunch. Older Children – Do one or more of the following: 1) Write down all the verses mentioned in the sermon and look them up later. 2) Count how many times the word “great” is used. Talk with your parents about what it means to be great and how you can become someone who is great. Questions to consider in discussing the sermon with others. Look up the dictionary definitions of “great.” How have you seen people try to achieve greatness? Have you tried to achieve greatness, if so, how? Does a person have to have a good character in order to be great? Explain. What key events had occurred before Jesus came to the house in Capernaum? When did the disciples start arguing about who was the greatest in the kingdom of heaven? Why were they silent when Jesus asked what they were discussing? Why does Matthew 18:1 make it seem like the disciple brought the subject up to Jesus? Why would the disciples be thinking about this subject? Do you compare yourself to other people? If so, in what areas? How does pride block a person from being as great as they could be? From doing God’s will? Why is it dangerous to pick and choose among the Scriptures what you will believe and what you will reject? How is the general principle stated in Mark 9:35 contrary to the way that most human societies function? Why does Jesus call a child to Himself? Why would a child have been in the house? What is the difference between repentance and conversion? What is the relationship between them? Is Jesus questioning the salvation of His disciples in Matthew 18:3? Explain. Why is conversion necessary to enter God’s kingdom? How is a person converted? What characteristics of a child allow for the development of faith? What is the nature and object of saving faith? How is a person saved? Why does pride block salvation? Are you saved? Explain. What is God’s response to a Christian who is defiant? What is God’s purpose in that response? How can you become great? How does a great person live their life?